As one of the final projects to come from the brief, but impactful, run of developer Clover Studio (the predecessor to a team that would become PlatinumGames), a game like Okami certainly was a good note to end on. The PS2-era action-adventure game–originally released back in 2006–garnered critical acclaim for its striking balance of gameplay that had inspiration from The Legend of Zelda series, while also drawing from Japanese folklore to create an aesthetic truly unlike anything we had seen from games before. While the game ultimately never became a huge commercial success, Okami‘s stunning visuals and unique gameplay mechanics gave it many fans in the years since its original release, with many regarding it to be an under-appreciated masterpiece of its generation. After its first release on PS2, subsequent ports of the game on Wii and PS3 gave the game a chance at a second life. 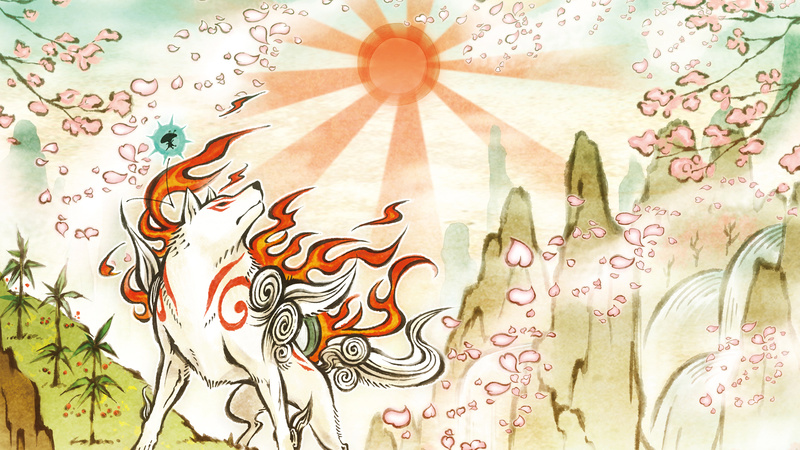 A sequel for the Nintendo DS, Okamiden, continued the series’ story in 2010, but little signs of life showed afterward that we could expect Okami to continue beyond that into a long-running franchise of any kind, for better or worse. That all changed, however, when Capcom brought back the 2006 classic with the release of Okami HD on PS4, Xbox One, and PC, which allowed a whole new generation to experience the title with some notable visual enhancements and 4K support. Even though it comes twelve years after its first release, this re-release continued to show that Okami is a title that has aged remarkably well thanks to its distinctive art and gameplay, and the HD release earned one of our very rare “10.0” scores when we reviewed it last year. That of course now brings us to the latest release of Okami HD in the form of its Nintendo Switch version, which comes about eight months after PS4, Xbox One, and PC owners first were able to experience (or re-experience) the game on a new generation of platforms. While the Switch version is more or less the same port that console and PC owners saw last December, Okami HD does represent the first-ever portable iteration of the Capcom classic, and integrates some unique capabilities from the Switch hardware that might make it an enticing option in lieu of the console and PC versions. Before getting into some of the more Switch-specific features of Okami HD, if you aren’t familiar with the game at all, let’s start with the basics. Okami takes place in a world rooted in Japanese history and folklore, as players take control of the ancient Shinto sun goddess, Amaterasu, who appears in the game’s world as a white wolf bearing the markings of her mythical existence. After spending some time in dormancy, Amaterasu is awakened when the ancient being of darkness known as Orochi re-emerges, and her quest then begins to defeat Orochi and reclaim the land from his spread of darkness, with the help of a few allies along the way. 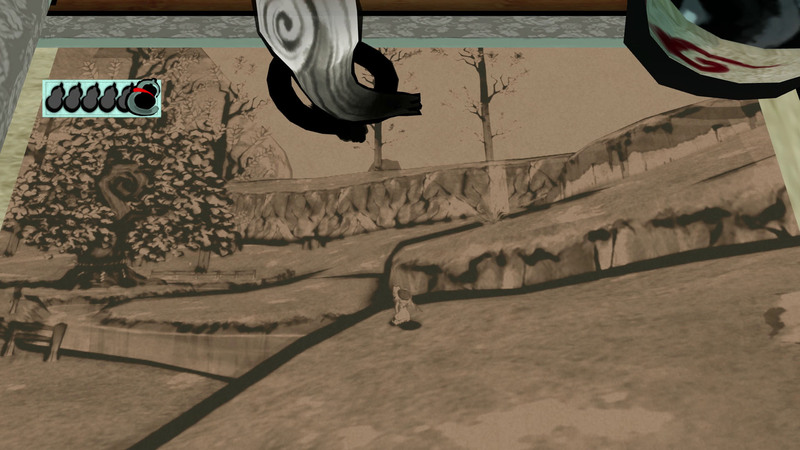 While Okami fittingly adapts the legends and history of Japanese folklore into a compelling story, the true highlight of the game comes from its stunning visuals that draw from the style of sumi-e, or Japanese ink wash painting. Though the game is now over twelve years old, Okami HD preserves everything that made the game so striking from when I first remember playing it, and the Switch version (whether playing handheld or in TV mode) doesn’t disappoint with crisp blacks and bold colors. Though it lacks some of the higher-end visual enhancements that players on PS4 Pro, Xbox One X, or PC can utilize (mainly the support for 4K resolution), the Switch version of Okami HD is by no means lacking from a visual standpoint, thanks to the game’s remarkable art direction that has withstood the test of time. Likewise, Okami still stands out as one of the finest executions of Zelda-style gameplay from a non-Nintendo studio, and Okami HD has preserved its blend of puzzle-solving and combat perfectly. However, the one thing that I will warn those going into the game for the very first time is that Okami is a bit of a slow burn, especially in its first few hours. While it eventually picks up with increased varieties of quests, boss fights, and more to encounter, Okami HD‘s opening hours might make it a little hard to get into at first, combined with the fact that the game uses a save point system to mark progress, which by today’s standards may feel a little antiquated. This might keep you tied to the game for a little bit in order to track down the next time you can save, but the experience of playing it on the Switch in handheld mode does help make the lengthy game a bit more digestible. Though the game’s pacing may demand a bit more patience from players, Okami HD‘s integration of the Switch’s unique hardware capabilities more than makes up for it. Namely, the Switch’s touchscreen can be used to harness the power of the Celestial Brush, which players will use throughout their journey to interact with the environment, solve puzzles, and wield special powers in combat by drawing various shapes and lines on the screen. As one of the defining gameplay features of Okami, the Celestial Brush really feels at home on the Switch touchscreen when playing in handheld mode, as it feels nearly effortless and intuitive to pause the action and draw on the touchscreen to wield Power Slash, summon the power of the sun with Sunrise, and more. 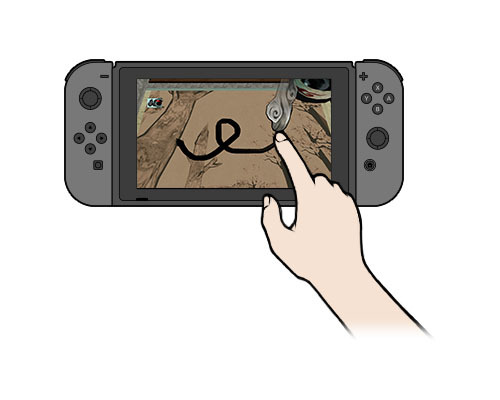 While those playing Okami HD handheld will reap the most benefits of using the Switch’s touchscreen to utilize the Celestial Brush, those playing in either tabletop or TV mode can also use motion controls to guide the Celestial Brush to their liking when using the system’s paired Joy-Con controllers. Though the motion controls lack the same natural feel as using the Switch’s touchscreen to guide the Celestial Brush, the fact that Okami HD on the Switch offers these alternative ways to utilize one of its key gameplay features certainly adds to the experience, though players can just as easily use a Pro Controller or the Joy-Con Grip to play as well. As the “swan song” for a beloved studio, Okami HD is a testament to the way that Clover Studio’s Zelda-like title has withstood the test of time. Thanks to its gorgeous visuals and unique Celestial Brush mechanics, Okami HD is certainly the best way to experience one of the most unique and visually distinctive games in recent memory, whether you’re experiencing it for the first time or coming back to it ten years later. The Nintendo Switch version of Okami HD may lack the fancier visual bells and whistles of the console or PC versions, but by contrast it gains plenty of benefits from utilizing the system’s more unique hardware capabilities and by giving players the option to play the game on-the-go for the first time. Though I ended up preferring playing the game on Switch compared to the past ways I’ve played it, however you end up playing Okami HD is worth the experience. Like the Japanese folk tales and legends it draws from, hopefully Okami will be a tale retold for some time to come.